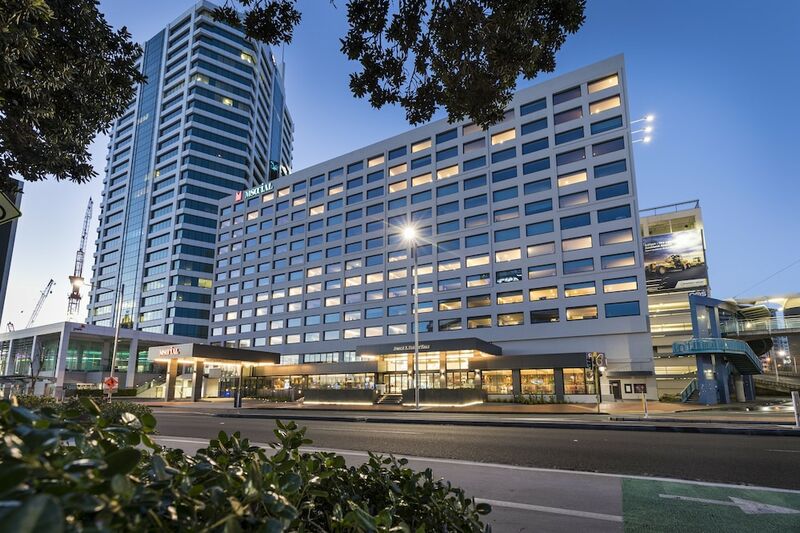 With a stay at M Social Auckland, you'll be centrally located in Auckland, steps from Princes Warf Visitor Information Centre and New Zealand National Maritime Museum. This 4.5-star hotel is 0.2 mi (0.3 km) from Princes Wharf and 0.3 mi (0.4 km) from Viaduct Harbour. Make yourself at home in one of the 190 air-conditioned rooms featuring refrigerators and LCD televisions. Complimentary wireless Internet access keeps you connected, and satellite programming is available for your entertainment. Bathrooms have complimentary toiletries and hair dryers. Conveniences include phones, as well as laptop-compatible safes and complimentary newspapers. Featured amenities include a business center, express check-in, and express check-out. Planning an event in Auckland? This hotel has facilities measuring 1130 square feet (105 square meters), including conference space. Dining options at the hotel include a restaurant and a coffee shop/café. A bar/lounge is on site where guests can unwind with a drink. This 4.5-star property offers access to a business center. Public areas are equipped with complimentary wireless Internet access. Event facilities measuring 1130 square feet (105 square meters) include conference space. This luxury hotel also offers a 24-hour fitness center, concierge services, and complimentary newspapers in the lobby. Parking is available onsite for a surcharge. M Social Auckland is a smoke-free property. M Social Auckland has a restaurant on site.